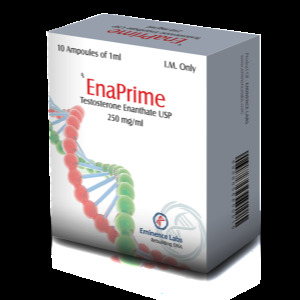 Methenolone is an anabolic steroid with a rather modest anabolic effect and with weak androgenic activity. In the market, the drug is known under the trade name Primobolan. 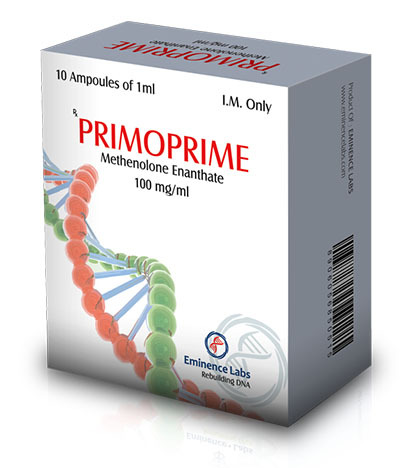 You can buy metenolone in an injectable form (Primoprime). Primoprime has a longer period of action – about two weeks, due to the slow transition of fluid from the muscles into the blood. The minus of this form of the drug is only in the pain of the injections themselves. If you compare the two forms of the substance, Primobolan Depot is in great demand, since it is much cheaper than the tablet form and is used only once or twice a week, while tablets should be taken every day. This drug is widely known throughout the world, you can easily buy Primobolan in Ukraine. The main objective of the drug is the increase in muscle mass and a significant increase in strength. Due to the rather weak anabolic effect, Primobolan is most often used during drying and an increase in relief, allowing you to maintain muscle mass without significantly increasing it. Compared to other anabolic substances, it has a minimal recoil phenomenon and a weak effect on the body. The possibility of edema is excluded, because the substance does not have estrogenic effects. Methenolone is often used in medicine as a means to recover from operations and severe wounds. It helps restore hormonal balance, so you can be sure of its safety. A large number of positive qualities and extremely low chance of side effects affect the price of Primoprime in the United States, making it one of the most expensive drugs to increase weight. But do not save on their own health. If your goal is a beautiful body without harm to the body, then Primobolan is exactly what you need. 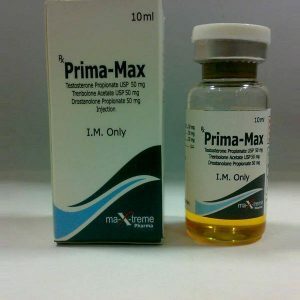 The main side effect of Primoprime, like any other steroid, is a reduction in the body’s ability to produce testosterone. Deviation may occur with a long course of use or incorrect dosages, so it is important to follow the instructions and recommendations for the correct use of the drug.